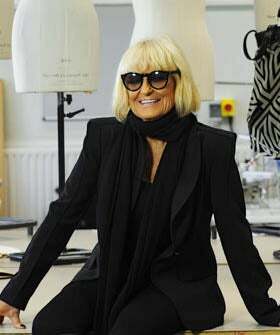 Your wardrobe is boring and predictable — if you ask Barbara Hulanicki, anyway. Tarring us all with a rather brusque brush, the Biba founder and legendary ‘60s designer believes women’s wardrobes today are all the same, thanks to our adherence to fashion fads and fleeting trends. Puh. According to her, "Women have such boring wardrobes these days because they must follow fashion, they must, they must.” Granted, fashions in the ‘60s and ‘70s were more liberal, at a time when individuality was cornerstone of style, and glitter platform boots were all the rage. But, waltzing into corporate offices these days in a psychedelic-printed mini just wouldn’t go down that well, Barbs. That said, it’s fair to say times have changed and we’ll admit, trends do dictate the style on the street. But we do like to think that many of us put our own imprint on the trends we pick up on the runways.